TROY won the award for Best Television Video News Report at the Intercollegiate Broadcasting System’s international convention, held March 1-3 in New York City. Meanwhile, Hall School students also excelled at the Southeast Journalism Conference (SEJC) in February, winning or placing in 11 categories. 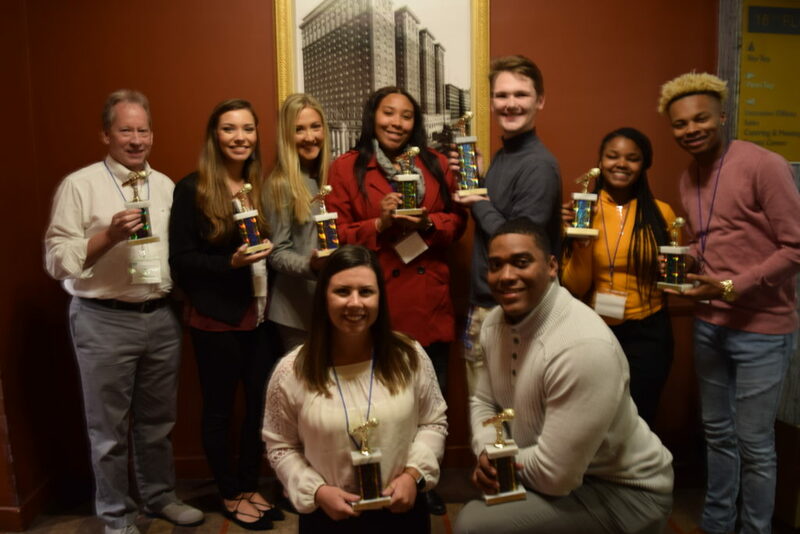 Members of TrojanVision and the Tropolitan won or placed in eight categories at the Society of Professional Journalists (SPJ) Mark of Excellence Region 3 competition. In the On-Site Competition, Pradyot Sharma won third place in Op/Ed Writing. Abigail Nicholson and Chris Wallace were finalists in the editorial cartoon and feature photography categories, respectively. Students who attended the Intercollegiate Broadcasting System convention include: Kayla Chandler, Allison Deloach, Cody Giles, Ryon Gibson, Tanner Gorum, Alexis Harvey, Colvin Prince and Ayanna Williams.